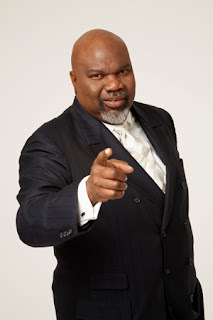 Sometimes ago, I watched a video message of this powerful preacher, TD Jakes, who has become one of my favorite pastors. And because this was post inspired by him I cannot but call it an aha moment. In the video titled "transformational instincts" he said we should distinguish between our urges and instincts. He further said "life is precious, you can't just dance through it, you need a strategy and some structures in your life". You see, distinguishing between urges and instincts gave me the aha effect, gave me something to think about. And when I thought about it, I realized I had always followed both! And like he mentioned urges was distracting me. While trying to figure it out, I became tired and so I decided to do what I learnt few years ago "praise is what you do when you don't know what to do". And so I began listening to praise songs, singing and dancing along. As I imagined, the answers I needed came to me without pre-mediating it the following day. You see, I had always had urges for business in the area of fast foods, and physical business such as buying and selling. I had done many in that line and I had also written business plans mostly for competitions in the hopes that I can raise funds for startup (I eventually won second place in one of the competitions). But instinctively, I loved buying books that resonated with me, mostly empowerments and some business intelligence book. Even though I would not finished reading many of them, I kept them at home. I sometimes lend out, but I do not give out my books. I would rather get you another copy than loose my personal copy. And as such my books became my treasured possession. After I started writing about purpose discovery and became fascinated with the subject of creativity. I realized I had books I had bought that had something in that light, but I kept them on the table! I knew I resonated more with gathering information, talking and keeping notes. But my urges for certain lines of business do distract me, yet as much as I became easily bored, I easily came up with new ideas. I would tell my friends I love to do physical business but I prefer being the creative director and if I am to work I preferred to be the human resource manager. Well, I can trace where the urges came from but that is not the point here. My urge and instinct were both operating in the service sector but focusing on different things. My urge wanted to own a physical business, while my instinct wanted to own a service business that teaches employees and business owners specialized courses. Although I had instinctively started my masters in personnel psychology before I heard TD Jakes message. His message helped me to clear my head from unnecessary filters. And to build my structure and strategies. Can you differentiate between your urges and instincts?